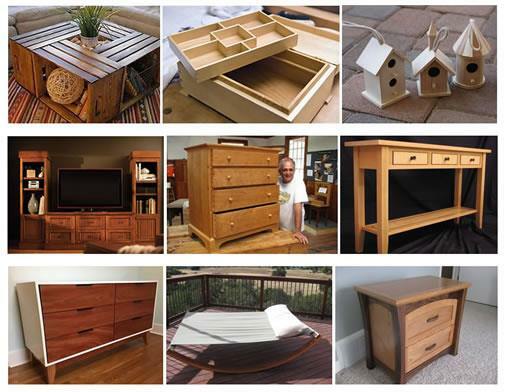 Find cold frame plans available with Ted's Woodworking Plans. 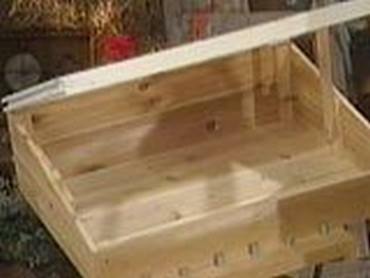 This is a sample of the cold frame plans you will find as part of the large woodworking package called Ted's Woodworking - The #1 Woodworking Resource. 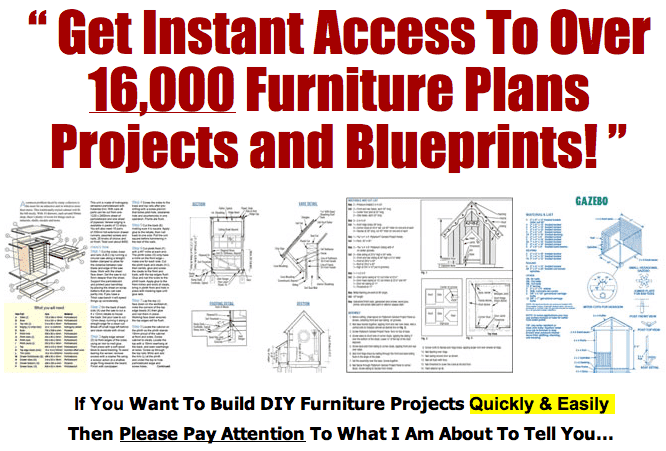 Download the cold frame plans below plus more when you purchase Ted's Woodworking Plans. Using just a few tools and a small investment you can create a DIY cold frame using plans from Ted's Woodworking. A cold frame is traditionally built low to the ground and provides protection for plants from harsh winter weather. 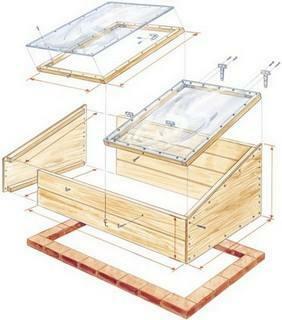 Building a cold frame is a common woodworking project for home or farm. A standard plan uses an old glass-window; a 1 to 2 feet wooden frame is built and the window is placed on top attached with hinges for easy access. The cold frame is designed with a top that slopes and faces the winter-sun to provide warmth and light, and to provide a steep runoff for water. 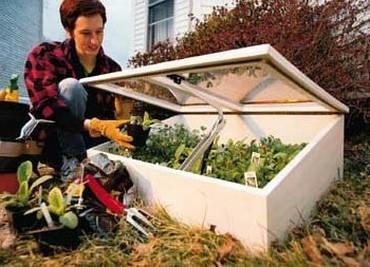 It takes little time and money to build a cold frame. Common tools are used here plus scrap wood and/or inexpensive wood can be used to make the frame. Old windows are easy to find at surplus stores or instead of a window you could use a sheet of plastic. 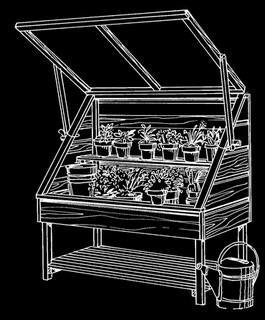 Enjoy delicious home grown vegetables and/or beautiful flowers in the winter months with little time or effort by choosing one of the cold frame plans from Ted?s Woodworking Plans.